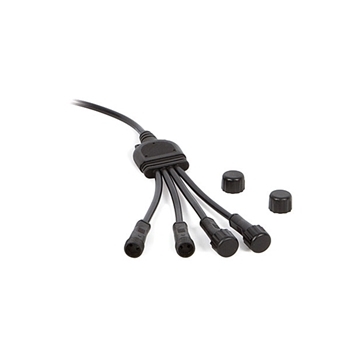 Atlantic 4-way Warm White Splitter enables a single transformer to power up to four light fixtures. For use with Atlantic Warm White light fixtures and systems. Not for use with Color Changing fixtures. Can be linked together with extension cords to add additional lights to any Atlantic Warm White Lighting system.